In every age, Christ raises up saints whose lives and deaths display a love burning with the kiss of divine love. In and through and with Christ, inflamed with unforgettable and unique zeal for their Beloved, these saints defy logic and easily crush the ways of the world underfoot by virtue of their willingness to give life and limb for the sake of fidelity to their Savior. 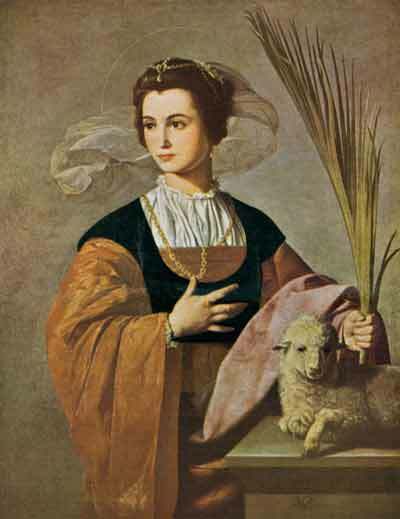 St. Agnes, a young virgin martyred in Rome at the tender age of twelve or thirteen, is precisely one of these unique and unrepeatable persons whose fidelity and dedication to Christ leaves men of the world fascinated yet perplexed. Why would such a beautiful young woman with so many years ahead, seemingly toss away her life so carelessly? What could possibly move her to desire death and go smiling before her executioner? She had no need to insist she was Christian, to say those terrible words which sealed her conviction by identifying herself with a hated and misunderstood group of people who engaged in strange religious practices and worshipped a man who died a criminal’s death. “Why not go on living?” they surely asked, then as they do now. But that is precisely the question—one of life. One of living. One of fidelity. One of everlasting happiness and bliss. St. Agnes understood this question to a far greater degree than any number of witnesses who saw her positioned above the pyre, who watched the flames engulf her virgin body. 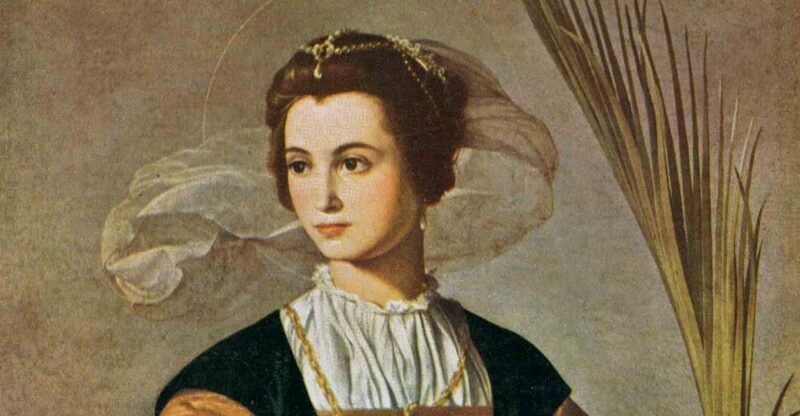 There’s a lot of mystery surrounding St. Agnes’ life and death; this young virgin held in the highest honor by the Fathers of the Church since the 4th century. What we do know is that she was martyred in Rome sometime prior to the Emperor Constantine’s reign. 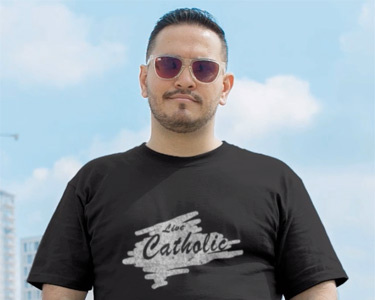 The Catholic Encyclopedia suggests this may have occurred during the persecution of Christians imposed by Diocletian in about the year 304. But there is also evidence that she died at the hands of her persecutors earlier in the third century. There are also varying accounts of her martyrdom. St. Ambrose gives her age as twelve and tells us she died by sword. The metrical panegyric of Pope Damasus recounts that she died by fire, without giving a thought to the barbaric execution she would endure, concerned only with covering her chaste, virgin body—stripped of its clothing and “exposed to the gaze of the heathen multitude”—with her hair. Prudentius tells us that the judge condemned her virginity by handing her over to a brothel, where a lustful man who looked upon her was stricken blind. And we find in The Acts of the Martyrdom of St. Agnes additional information stating that the virgin was “decapitated after remaining untouched by the flames” of the pyre (Ibid). St. Agnes stands as a monument of holiness and hope before us all. That will never change until that day when we, too, attain the fulfillment of our hope founded on the promises of Christ. On that day, we will admire the hope she had and enjoy the hope she acquired by virtue of her purity reserved for the Beloved and her love for the same.